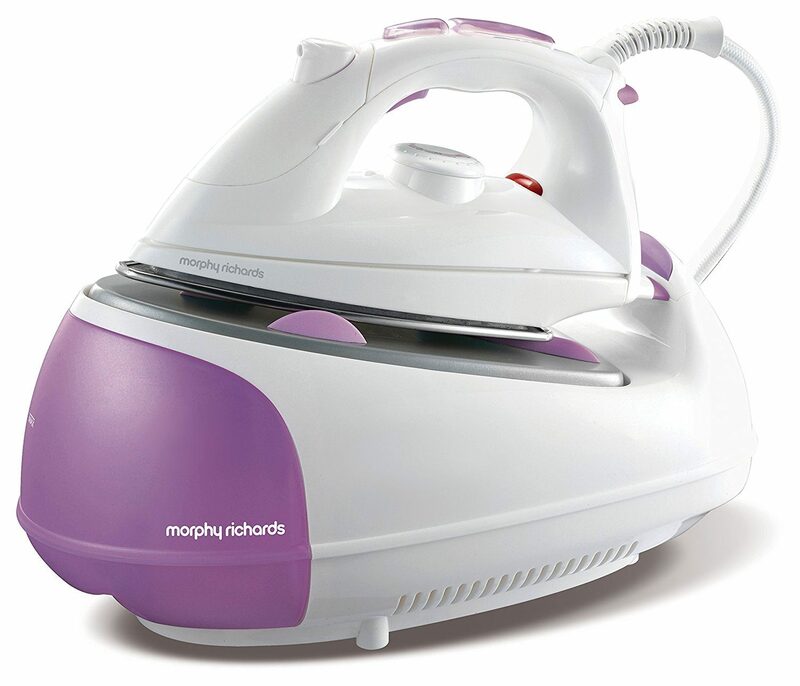 Without any doubt, Morphy Richards are one of the leading and best known brands for making all kinds of steam irons. 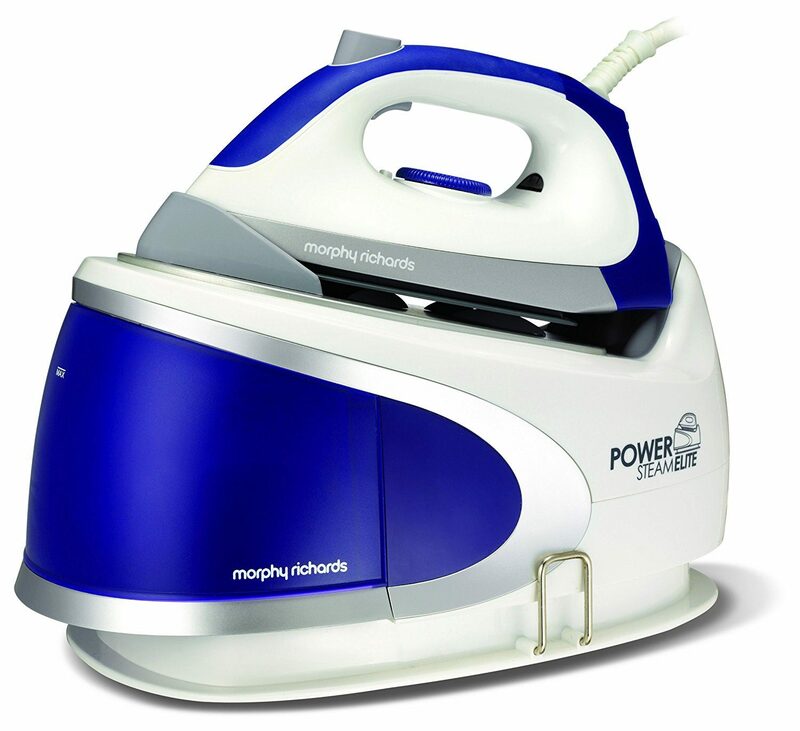 That includes their normal steam irons, and these newer steam generating irons. 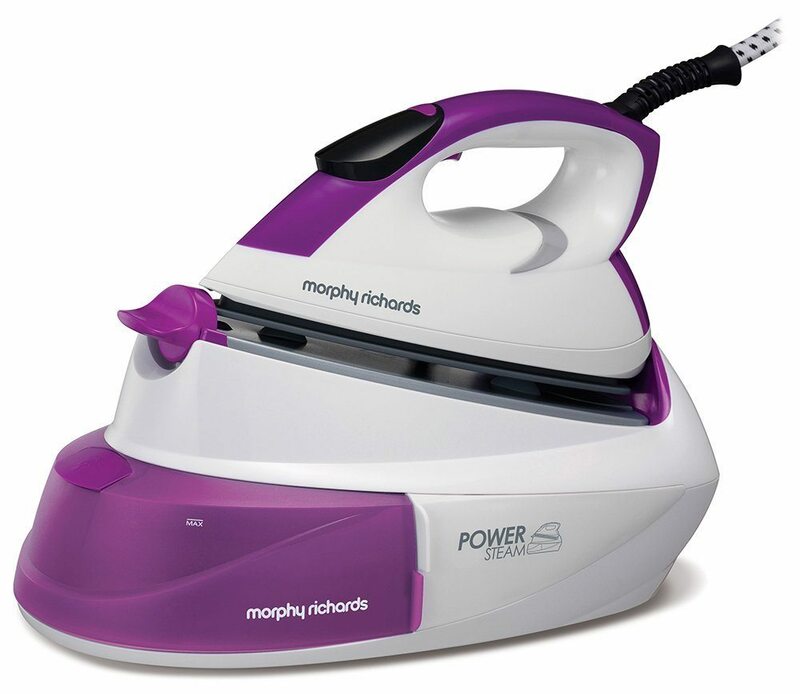 Morphy Richards essentially do two lines in their steam generator product range which are, the Jet Stream and the Power Steam Elite. We review them all here. The main difference in these two lines is that the "Elite" range is pressurised. 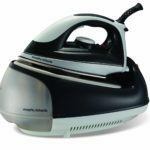 They are both good types of steam generating irons but the Elite, as the name would suggest, is the better and more expensive of the two ranges. Currently they have 5 irons in their Jet Stream range and 14 in their Elite range. In the Jet stream range, the prices will vary from around £80-110, so more affordable than their Elite range. The benefit of the Elite range is, that they offer a much higher pressure of steam. That makes ironing easier, and especially on stubborn wrinkles. Below you will find a top 5 table of the Jet Stream range. 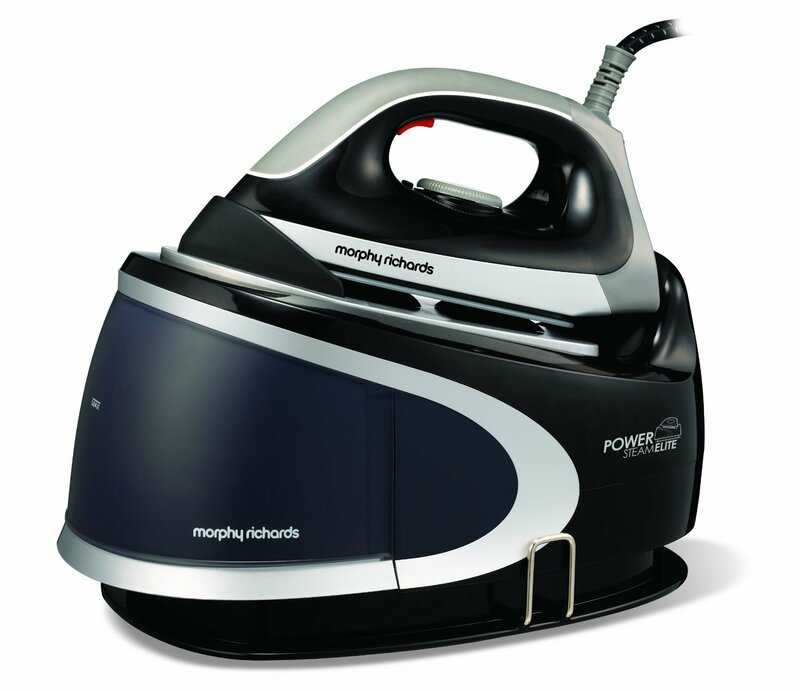 Underneath that, you will find another table of the 14 Morphy Richards Power Steam Elite Range. These have been ranked in order of buyer ratings. The highest rating is at the top of the table. Underneath the tables, I have done a brief review of each iron. In there you will find links, if you want to read more detailed reviews on the individual iron. #Underneath this table you will find the 5 summary reviews for the Jet Stream. Please scroll down past these, if you prefer to see the Power Elite range. 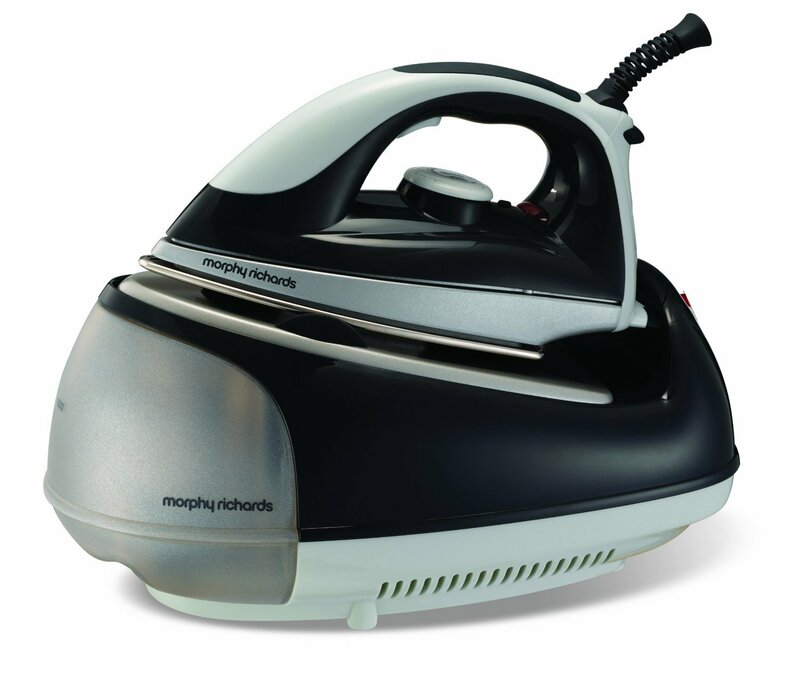 This table shows the Morphy Richards Jet Stream range. Please note that prices and ratings can vary on a daily basis. As such, always check at the actual time of purchase, for the most up to date price and rating. I do keep this table very well updated on a weekly basis, but prices and ratings can change quickly. Please note that the images are not clickable. If you click on the product name, you will be taken to Amazon UK. There you will find their buyer reviews. As I have mentioned the Jet Stream, are very popular with customers because they are good quality and at a sensible price that most households will be able to afford. These irons sell pretty well and are classed to be in the budget range. This model gets cracking reviews so buyers love this product a lot. This one has vertical steam which makes it great for hanging garments like curtains, or for clothes like dresses and suits. 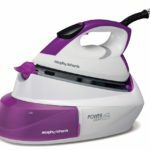 This is an all singing and dancing iron, and the price point should suit most pockets. There are over 1,500 online buyer reviews who give this a really impressive 86% buyer satisfaction rating. When this was first introduced it had a price point of around £200. Since then and due to the competitive nature of the UK market place, prices in this range of irons has thankfully continued to drop. If you are in the market for using one of these newer irons, then in my opinion there is no better starting point than this one. 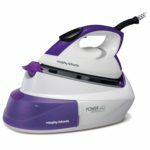 It does make the dreaded task of ironing a great deal easier, and yes it will save you a lot of time. It is also one of the best sellers at Amazon. 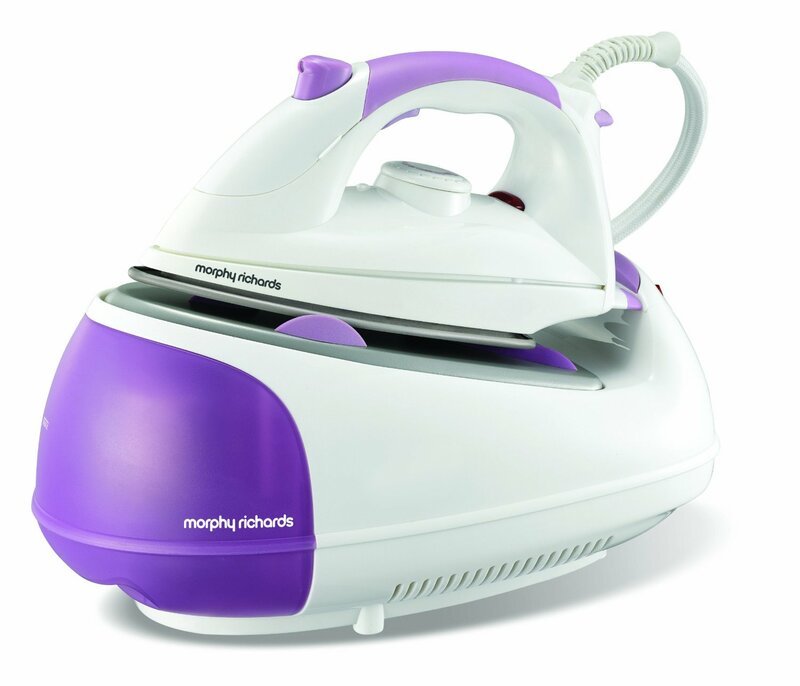 Another very popular iron from Morphy Richards is the Jet Stream 42234 which costs around £80. The reason this one is so popular is because it is high quality and really good value for money. 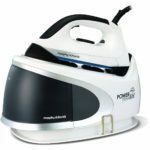 Like the iron above this one is also a good balance for those who would like a steam generator but are on a tight enough budget. I am not saying this is a cheap iron by any means. 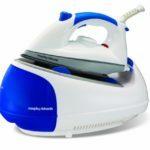 It is a good quality iron and compared to many other makes and models, truly does represent good value for your money. Personally I would prefer the one above as it is a newer model, slightly cheaper and will do anything that this one can do. However some people do prefer this model so I have included it here for your information. This one has a nice £100 price point and also gets nice consistent ratings by online buyers of 76% buyer satisfaction. This product has been out since 2013. It does not have a lot of reviews as the two I have already mentioned outsell this product rather easily. The main difference in this product is that it has a stainless steel soleplate and some buyers prefer that material. 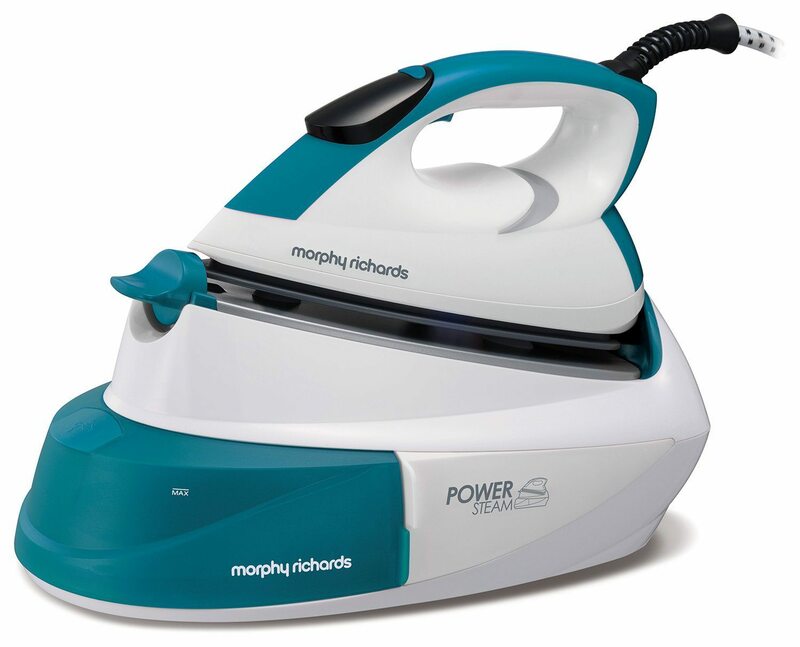 This iron provides 90 grams of steam and that will quickly deal with normal creasing in clothes in a very short space of time. It is similar to the others in that it has a one litre tank and can handle vertical steaming of clothes which is useful. Other than that there is not a great deal to say about this one. In my opinion with the other two getting more reviews I would tend to stick with one of those. 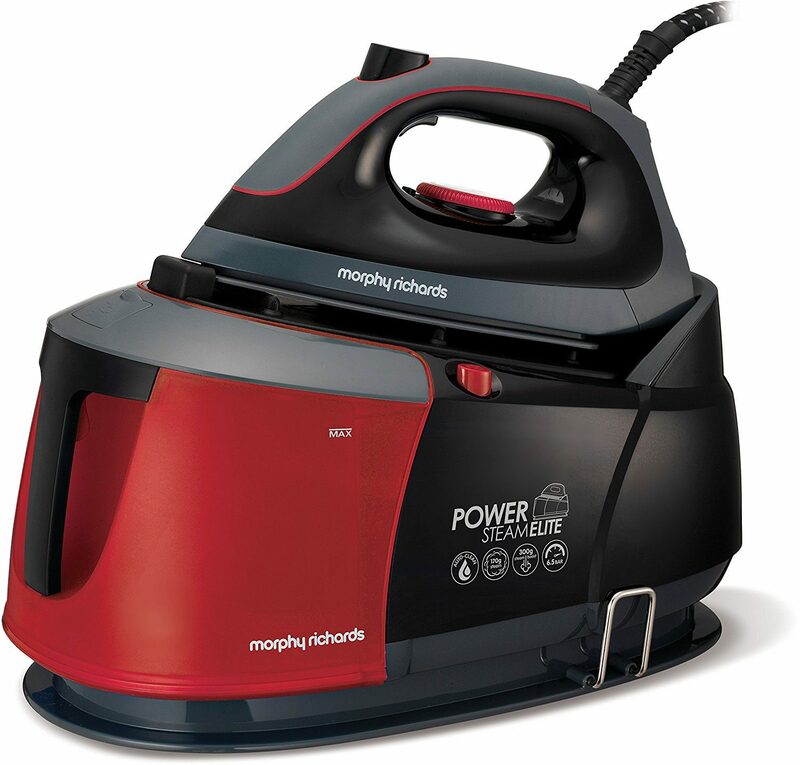 I also mentioned earlier that the Morphy Richards company has two ranges. We have already looked at the Jet Stream range and now we look at their more expensive Elite range. The main difference is the higher levels of pressure that you get with the Elite irons. Simply because you have more pressure simply means you will be able to iron even faster. 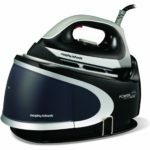 The higher pressurised steam will get rid of creases and wrinkles in the clothing even faster than the irons that I have already included. The truth is that in some cases they are more expensive, but always be on the look out for offers as that can make the prices pretty similar. 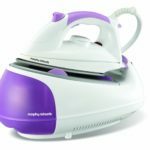 There are quite a few steam generator irons in this Elite range and I have completed a short review on each below. After the short review I have provided a link where I have reviewed each of these in more detail. To make things a little easier I have done a comparison table of them just below so as you can see them all in one place. 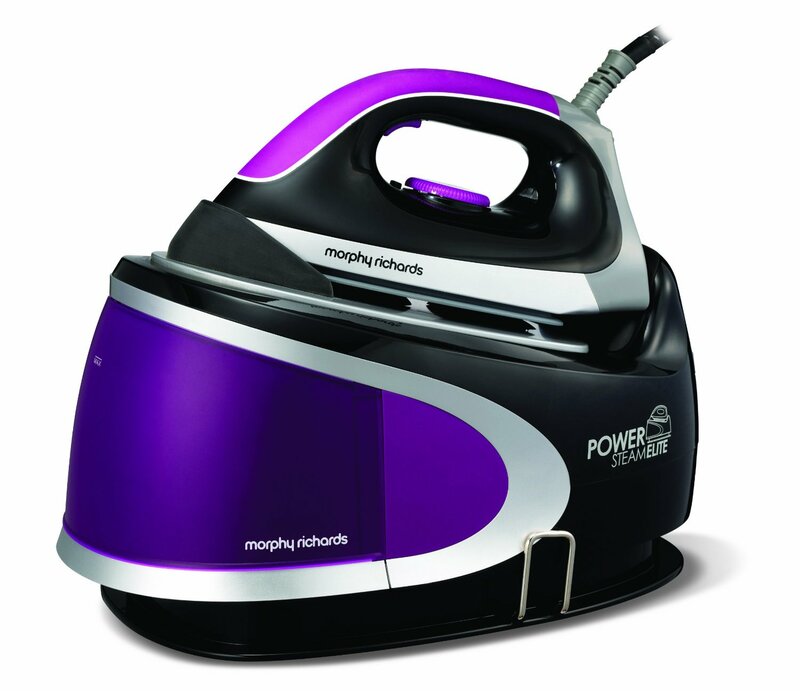 This table shows the Morphy Richards Power Elite range. Please note that prices and ratings can vary on a daily basis. As such, always check at the actual time of purchase, for the most up to date price and rating. I do keep this table very well updated on a weekly basis, but prices and ratings can change quickly. This particular model costs just under the £270 mark. Overall buyers have rated this one with an 88% buyer satisfaction. As there are around 100+ online buyer reviews this rating is reliable. There is a 2 year guarantee on this product so I am sure the person who left the bad review got either a replacement or their money back. Overall this model looks to be well priced and is certainly one of the better ones out in the market place right now. 86% online buyer satisfaction should pretty much tell you all about the Elite 332000. 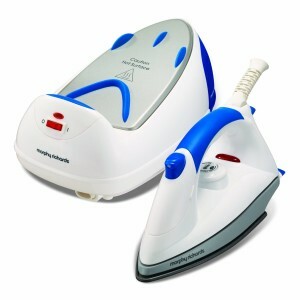 This is an expensive iron at almost £135 and it is as you would expect also a top end quality product. This has the big 2.2 litre tank so trips to the kitchen tap will be kept to a minimum. There are not a ton of reviews with this one, but those that do exist, think this is an excellent product. Personally I just struggle with the high price point when I look at all of the irons that are out there. Like for like comparisons though will tell you that this is one of the very best. 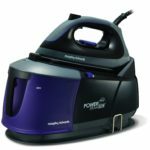 This selection has a powerful 2,400 watt steam producer which can pump out 190 grams of steam and a steady 5 bar pressure. It comes equipped with a 2 litre removable tank. This one uses a ceramic soleplate which many people seem to prefer for using on their clothes. There are 40+ online buyer reviews but recently the price has dropped on this one significantly, so I would expect to see sales increasing as a result of that. It is certainly a nice looking iron and one of good sound quality. The ratings are good at 78% buyer satisfaction and this one is particularly easy to use thanks to the simple controls. 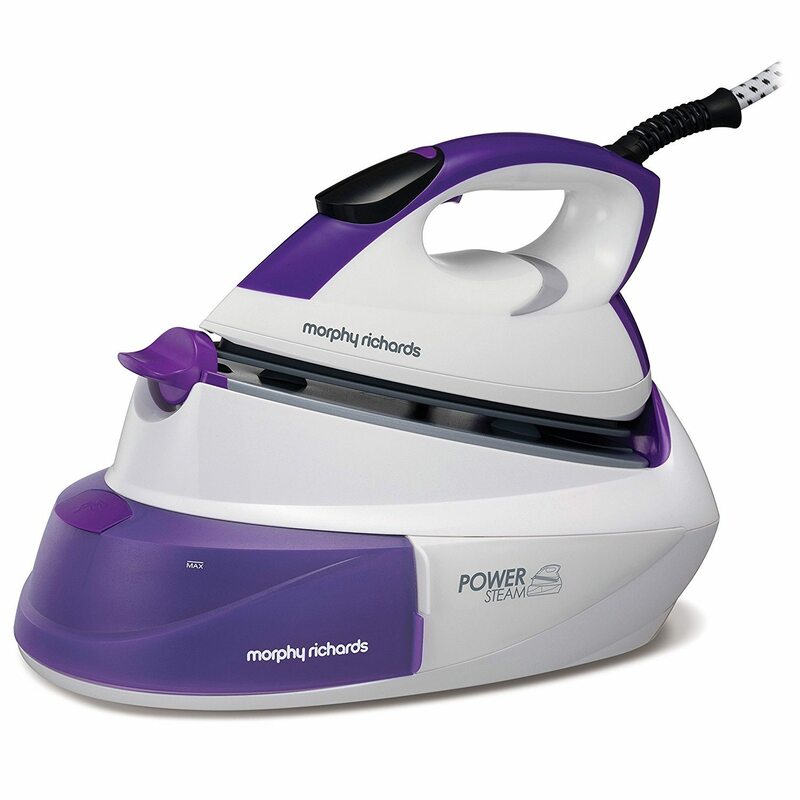 This is one of their best selling iron in this Elite range. For a long time this one has been their best seller for quite a while. This one prices in just under the £110 mark, but is the best seller for a very good reason. People who trust this brand know that they are always going to get high quality, and if that means spending a little extra, then they are OK with doing just that. There are over 600 online buyer reviews and they rate this one highly with an average rating of 84%, which is a sound and consistent rating. This one has a huge 2 litre tank and a bunch of other great features which buyers really love. 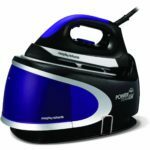 This is a steam generator iron and more! 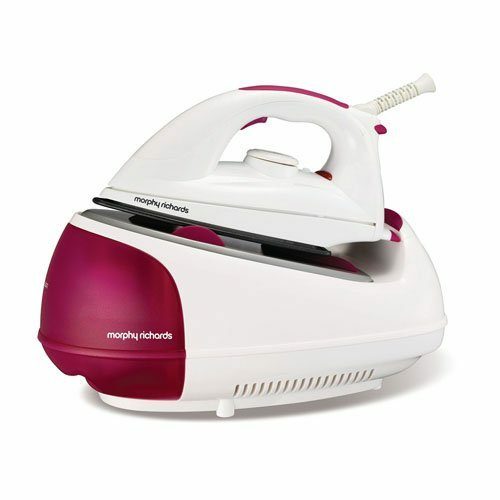 This one is not just an iron and that makes it a very interesting addition to this Elite range from Morphy Richards. They refer to it as their 12-in-1 steam cleaner. it has a 1.8 litre tank and can create 200 grams of constant steam and up to 5 bars of pressure. 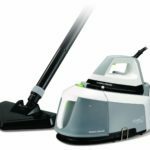 What makes this one different from the other irons is that it comes with a set of attachments that turns your iron into an actual steam cleaner which you can then use around the house. 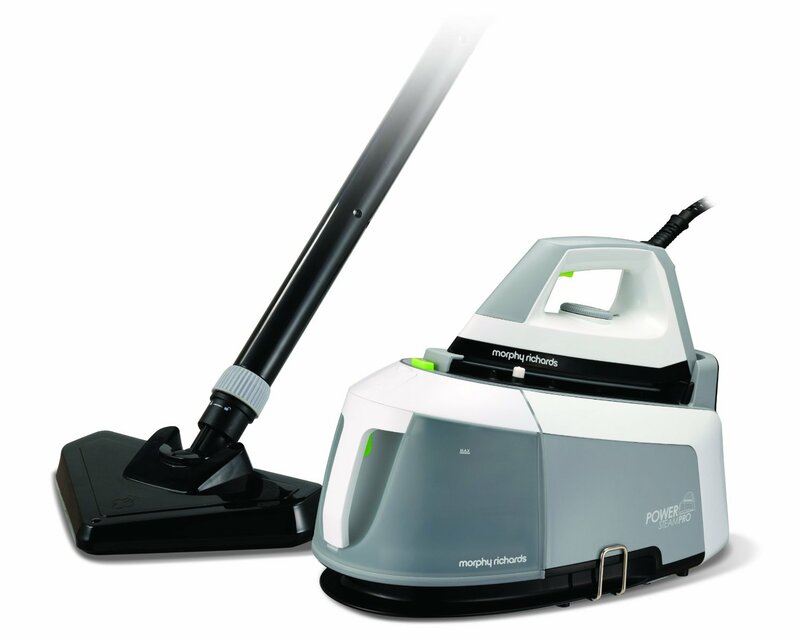 It comes with a set of attachments such as a mop, floor cloths, carpet glider, jet nozzle and brushes and tools. This company has been around for as long as I can remember. They do a whole range of products for the home such as irons, toasters, kettles, cooking and baking products, steam mops, electric blankets, coffee machines etc. They also carry all of the spares for your products if anything ever needs changing. You can register any of their products online and they have a good customer service and their phone number is 0344 871 0944 or you can contact them on their website, by emailing their customer engagement centre. The company formed way back in 1935 and two men formed the company. They were called Donal Morphy and Charles Richard. I guess you can figure out where the brand name comes from 🙂 They merged with a Scottish company called Astral and launched as a public company in 1947. In 1954 the first heat controlled steam and dry iron was invented with its own boiler which could produce 25 minutes of steam. 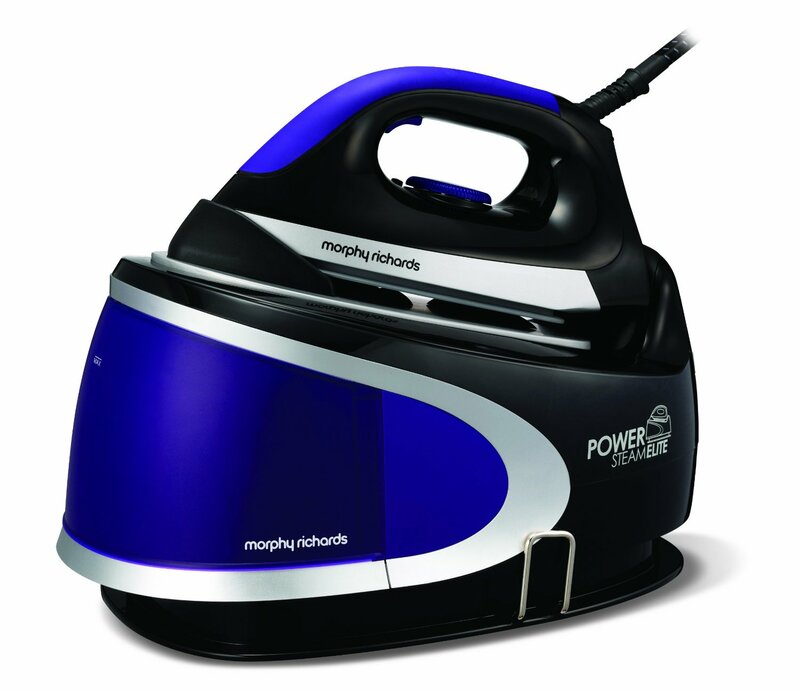 In 1960 Morphy sold his shares to EMI and the company started to produce larger domestic appliances. 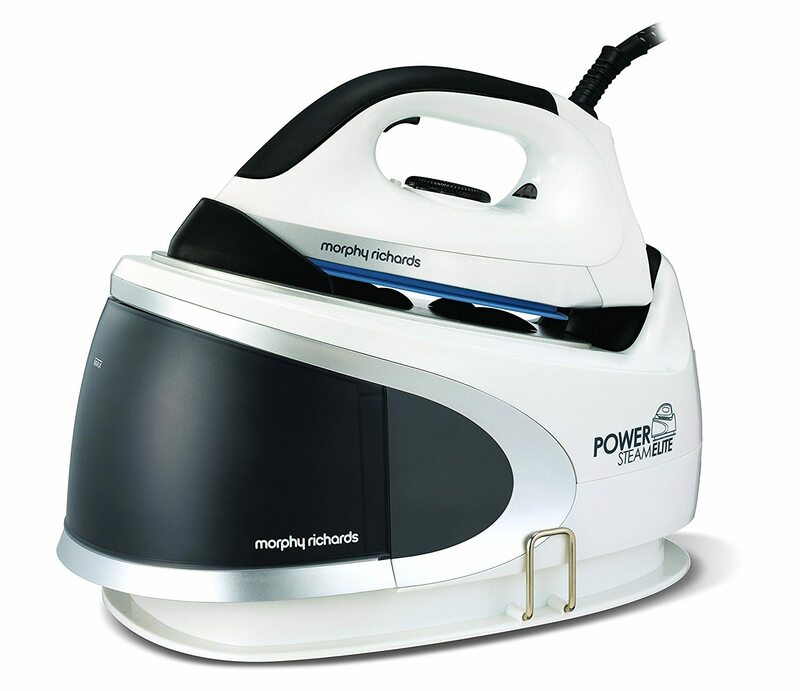 By 1972 BDA which included Hotpoint English Electric, GEC and Morphy Richards became the biggest manufacturer in the United Kingdom. They sold 45 million products and had a turnover of £45 million and employed 10,700 people.In 1974 they merged with Schreiber Furniture and in 1975 BDA changed its name to Hotpoint. They were sold in 1982 to Capital for Industry and were marketed alongside a company called Carmen. 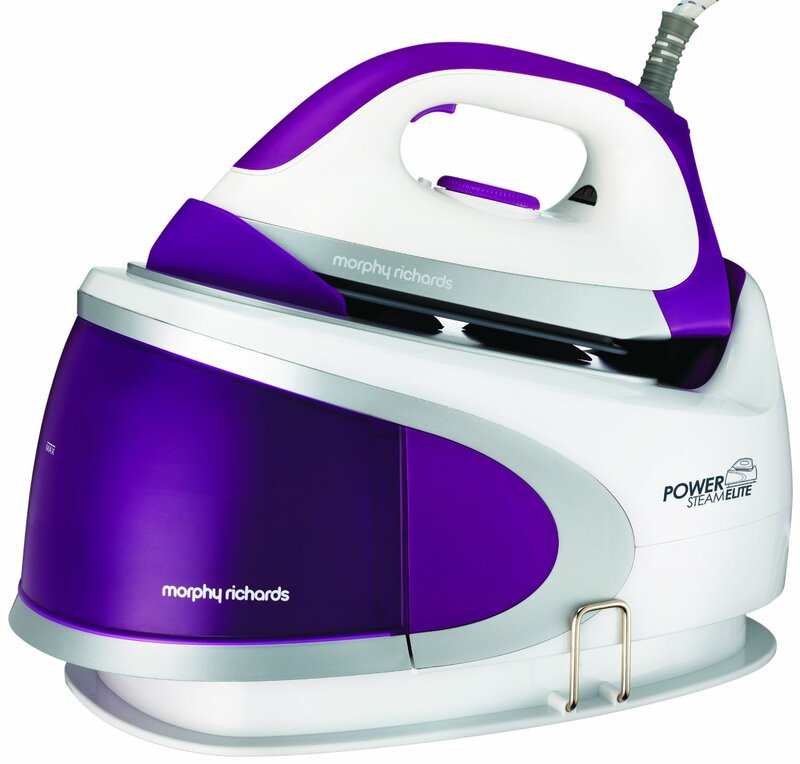 For those of us who remember radio cassettes this should bring back a few memories.Throughout the 90's and into the 21st Century Morphy Richards have been a regular player in the UK market and I think there is a Morphy Richard's product in almost every home.